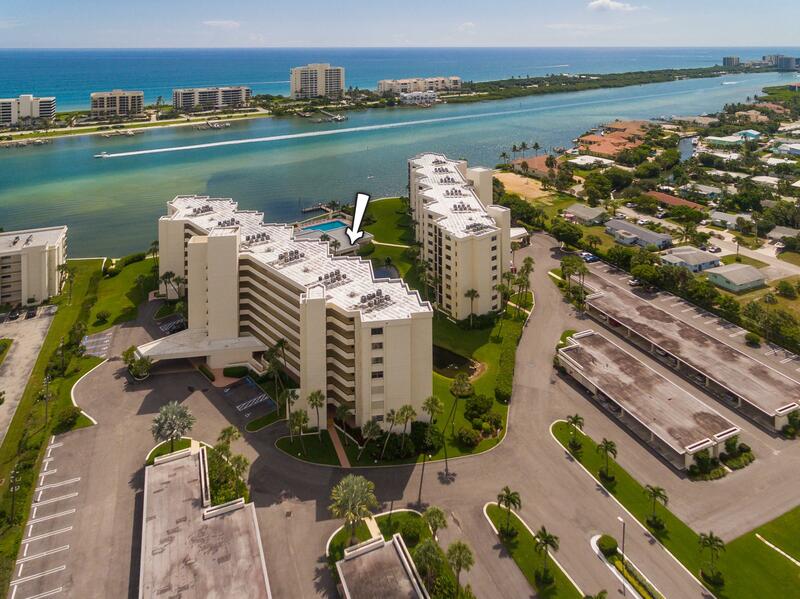 Breathtaking ocean and Intracoastal views surround this beautifully appointed penthouse condo located in the Tequesta community of Sandpointe Bay. This split-plan condo has many desirable features such as an open and spacious interior, wood flooring, full hurricane protection, crown molding, plantation shutters, gourmet kitchen with granite countertops, white cabinets, tile backsplash, and sitting area, and a spacious master suite with a separate vanity area and giant California Walk-in closet. The oversized screened-in balcony can be accessed from most rooms and has dual ceiling fans, wood-look tile flooring, and gorgeous views. Full-size washer/dryer in unit.